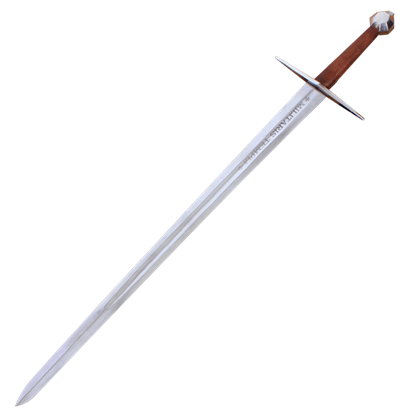 The Crusader sword is a superb fighting weapon. 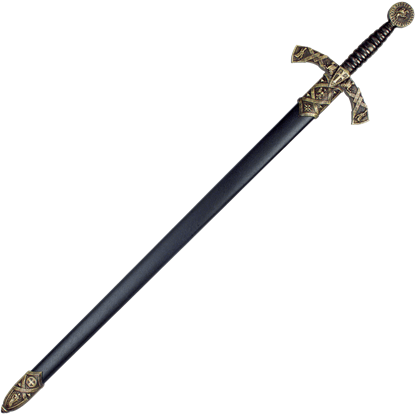 The sword blade is flat with two narrow fullers running down the blade. 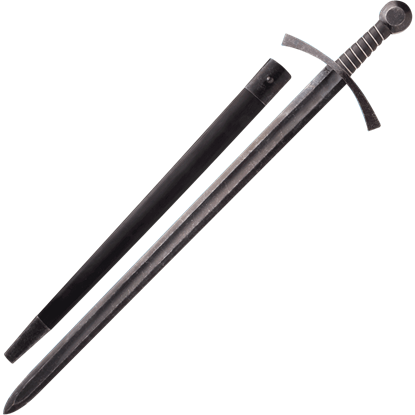 The fullers make the blade stronger and lighter for the knight to carry and an effective weapon against mail armour. 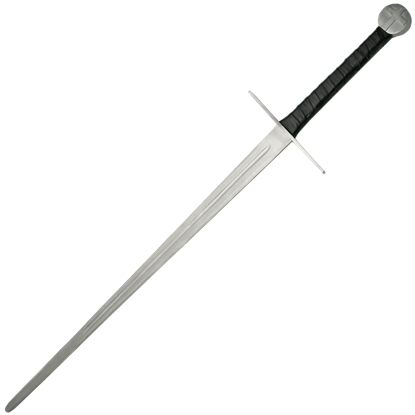 The strong blow from the Crusader sword will cut chainmail, while the sharp point is effective at stabbing. 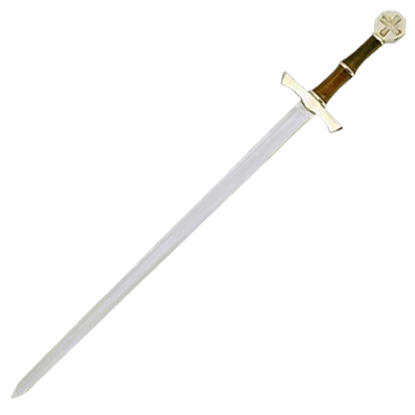 The Crusader cross cast on the pommel is a symbol of both heroism and Christian faith. The Crusader Sword is a symbol of a Knight's Christian religion and the very instrument of God's will on earth. The image of the Knight and his sword will live forever through the sagas and tales of heroism during the Crusades from 1096 to 1291. It was believed that the personal courage, strength and renown of a knight could be absorbed by his sword, and that subsequent possession of a great warrior's sword would bestow the same distinction on a new owner of the sword. 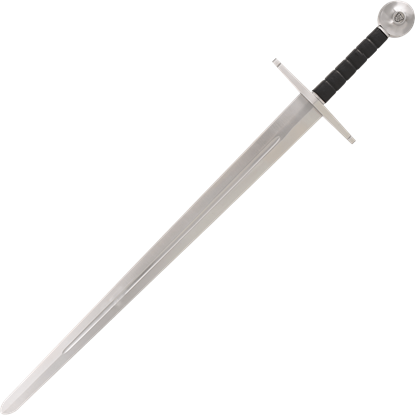 Our Crusader swords can be used for display or for battle re-enactments, each reproduction is created to the specifications of the original. 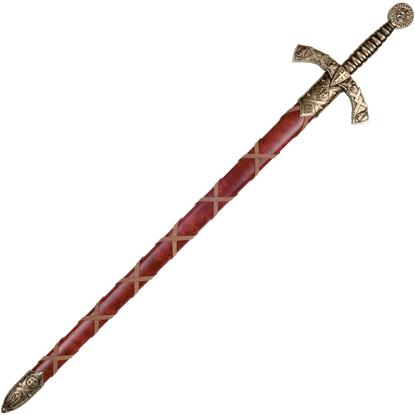 The dimensions and weight are accurate on every piece so you get a medieval weapon that is actually balanced and fun to hold instead of just pretty to look at. Medieval times were sometimes brutal, sometimes romantic, but always a source of intrigue. 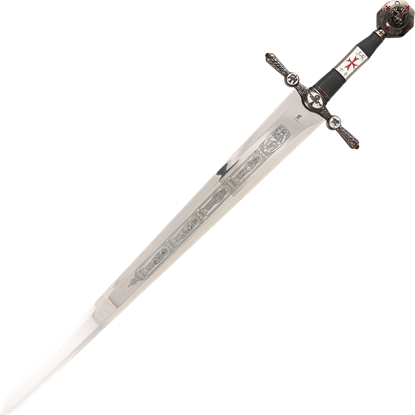 We invite you to share in the experience of an era past with our collection of Crusader swords. All our Crusader Swords are expertly hand-crafted and authentic replicas! You can display them in your office, home or for Medieval Reenactments.